I just finished watching Hana-chan no Misoshiru which was a special drama shown earlier this year on TBS (Japan). I knew from the short description that it would be a tear-jerker, but it sounded like a good show and I like the actors in it. 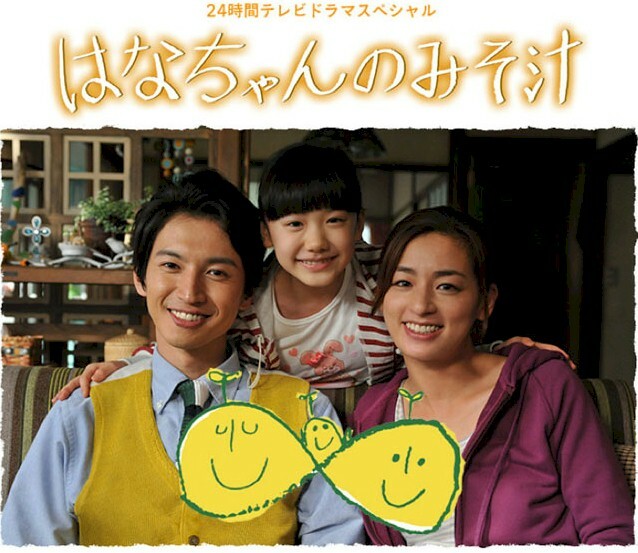 Most notably, Ono Machiko is fantastic as Chie, the cancer-stricken mother of Hana. I won’t go into a review or synopsis, but I will say that it deals with the short time we have in this universe, and the important things we try to pass on and teach to our kids while we have the chance. It’s also about living life with happiness and striving to share that happiness with others. Although the tv movie is a sad one, it kind of reaffirmed my desire to live a full life. Good stuff!